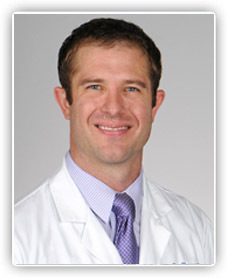 Dr. Jason Chesney at Mid-Michigan, Ear, Nose, and Throat, P.C. Dr. Chesney was born and raised in Grand Rapids, Michigan. He received a bachelor’s degree in the Honors Program in Movement Science from the Department of Kinesiology at the University of Michigan. He did research studying neural plasticity for the potential treatment of neurologic disorders. While in Ann Arbor he was also a member of the Strength and Conditioning staff for Varsity Football, winning two Big Ten Championships. He then graduated from the Michigan State University College of Osteopathic Medicine where he attained the highest academic scores in his class. This was followed by completion of residency in Otolaryngology-Head and Neck Surgery McLaren Oakland Regional Medical Center/Michigan State University Statewide Campus System. It was during this time that he developed a particular interest in the surgical management of ear, nose, and throat disorders in children. Following residency, Dr. Chesney completed fellowship training in Pediatric Otolaryngology at the Medical University of South Carolina. Here he was exposed to and trained in the comprehensive medical and surgical management of advanced otolaryngologic diseases in children. This included the treatment of complex airway disorders, cleft lip and palate repair, the management of velopharyngeal insufficiency as well as the surgical treatment of ear disease. Dr. Chesney has and continues to be involved in research in the field, having published a book chapter and several articles within the field. Dr. Chesney has interest in the treatment of all general ear, nose, and throat disorders as well as complex pediatric issues. © 2019 Mid-Michigan, Ear, Nose, and Throat, P.C. All rights reserved. Web Design by Nicholas Creative.